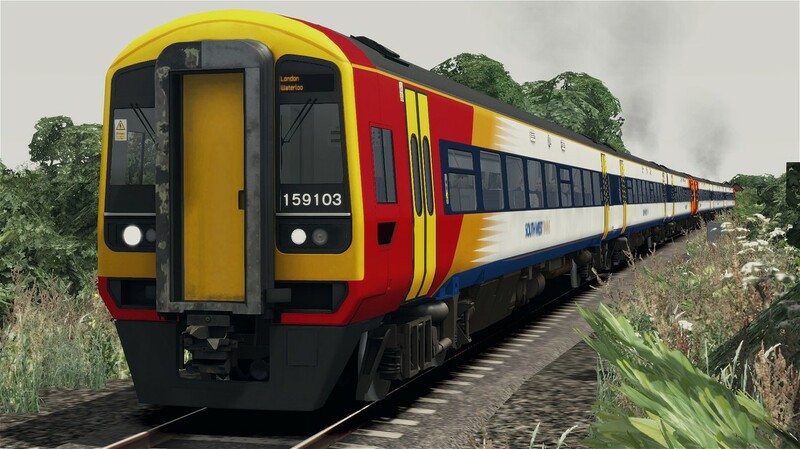 Similar to the Class 158, the Class 159 is a 90mph capable Diesel Multiple Unit built by BREL Derby between 1992 and 1993. An additional eight Class 159s were formed by converting spare Class 158s in 2006 and 2007. 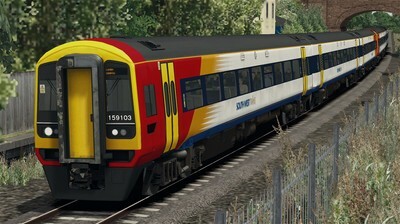 The Class is primarily used on the West of England Mainline between London Waterloo, Salisbury, and Exeter St Davids. 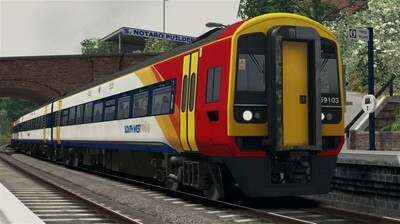 They can also be found on commuter services throughout Wessex. Notable differences between the Class 158s and the Class 159s include the window layout, toilet retention tanks, and the fitting of a First Class section on one carriage. 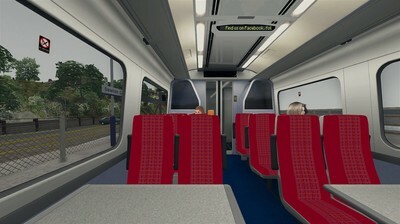 Many Class 158s have since been fitted with First Class however. 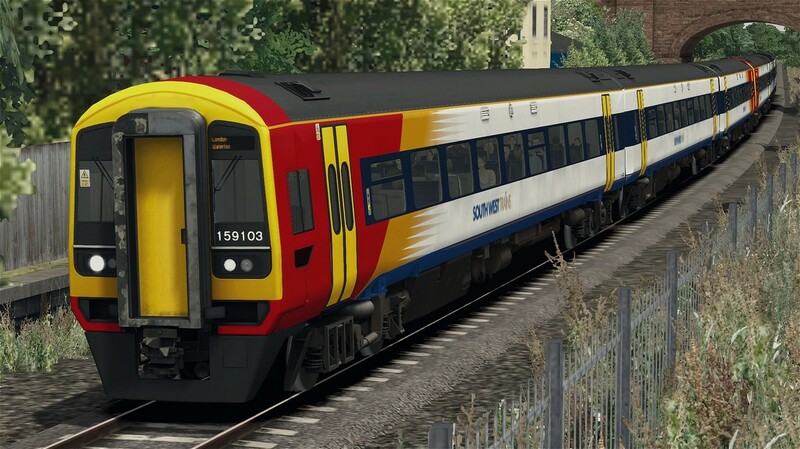 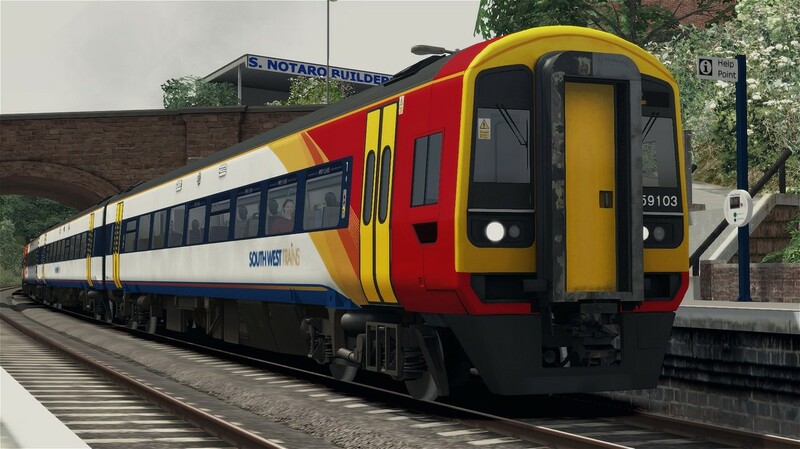 The download includes the Class 158 and Class 159 DMUs in South West Trains C6 liveries, including a custom interior with PIS, six custom 3D nameplates, correct numberings, eight quick-drive consists, dynamic numbers, door control buttons, and over thirty custom destinations. 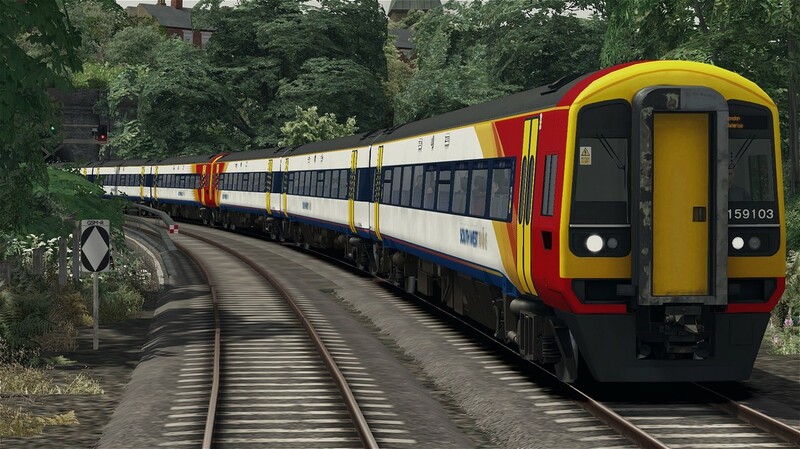 You need the Class 159 NSE DMU from Steam to use this reskin.